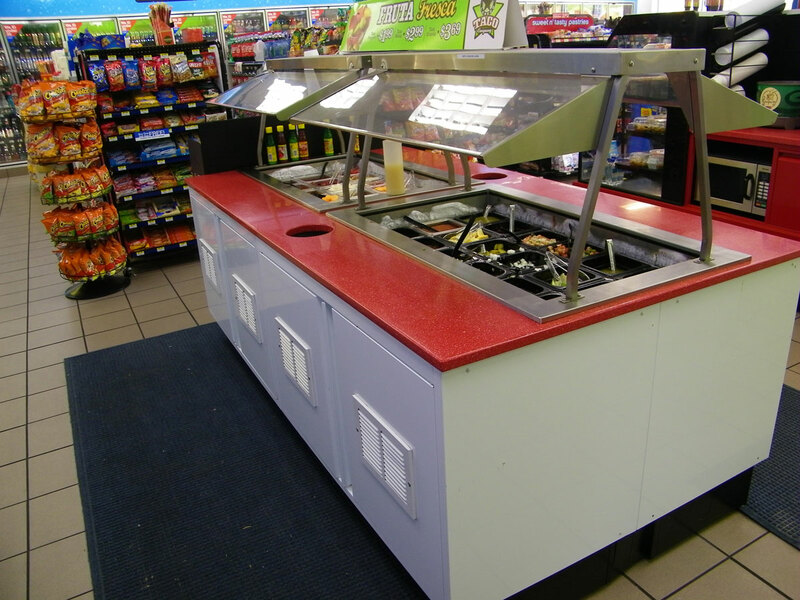 SHOPCO’s Metal Food Service Counters carry the same load capacities and qualities of traditional systems, but surpass these systems with the unique advantage of being in stock, ready-to-ship with no fabrication lead time! 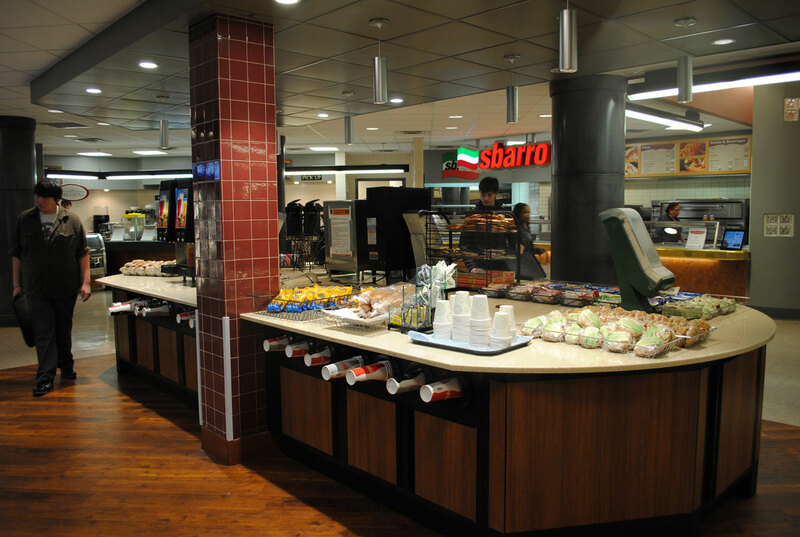 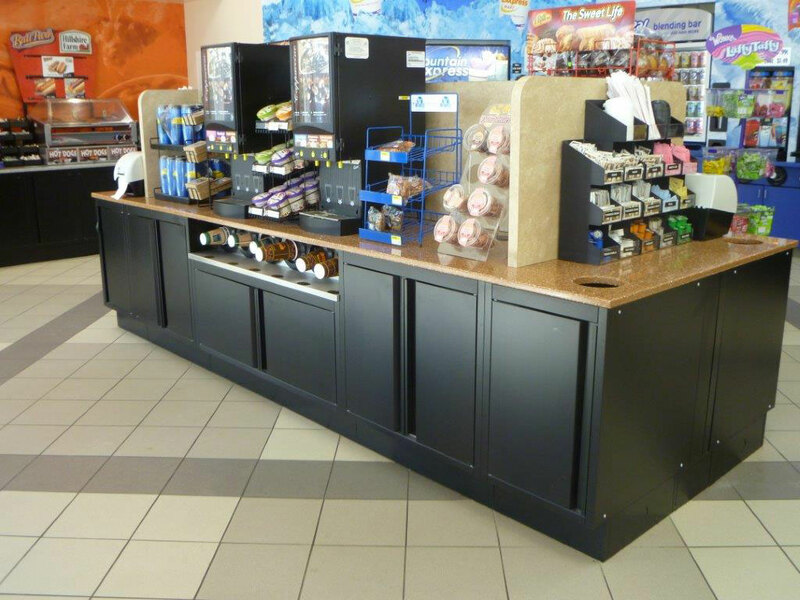 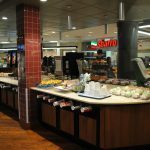 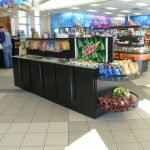 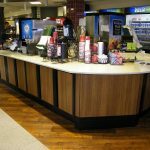 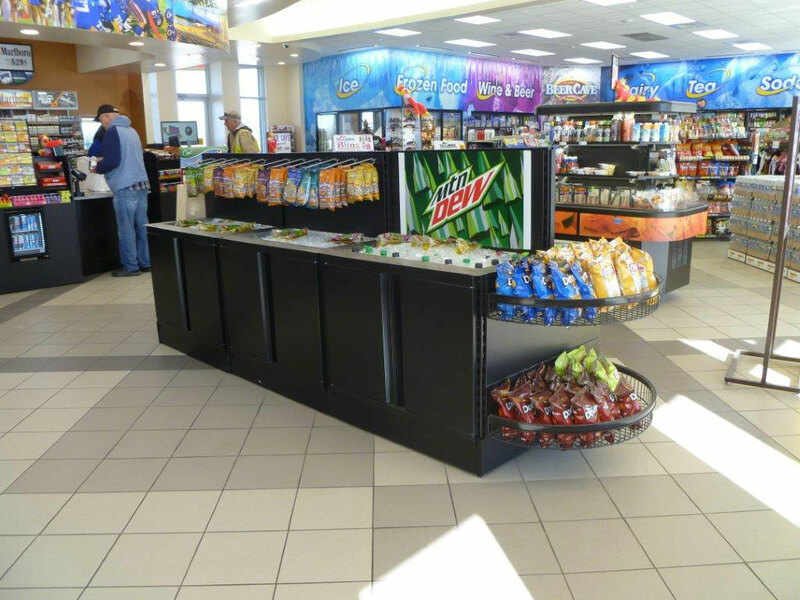 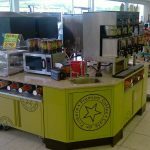 SHOPCO’s Metal Food Service Counters System utilizes a variety of units to create a Counter sequence that meets your specific retail needs. 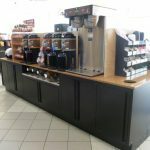 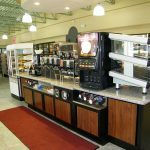 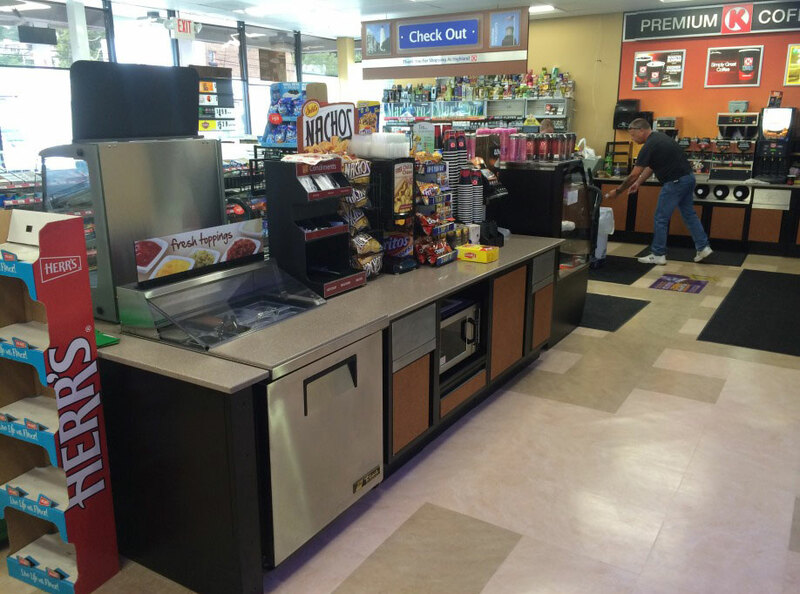 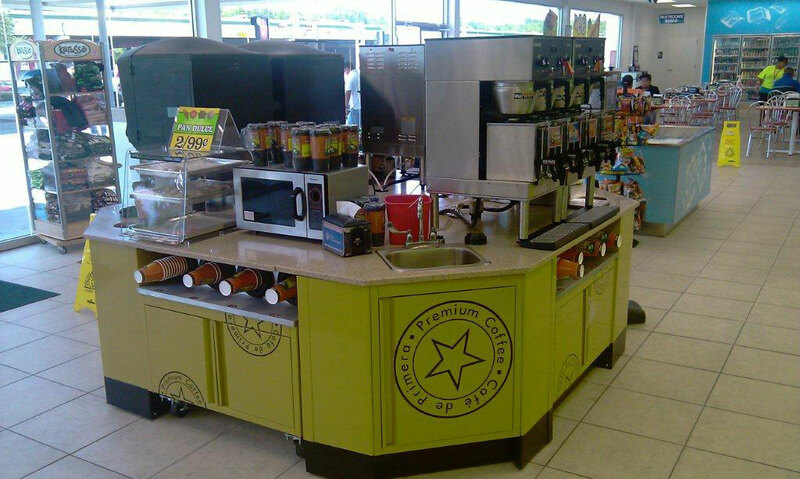 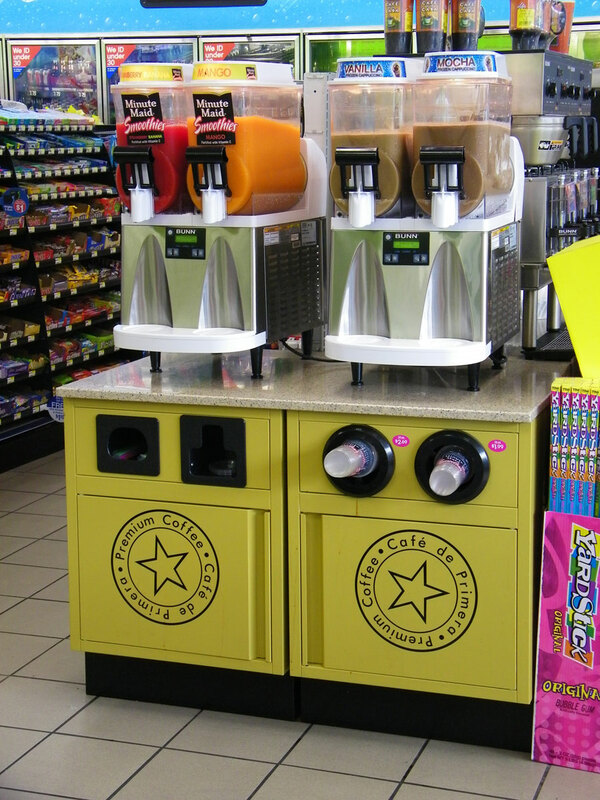 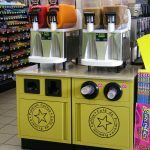 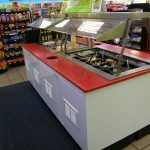 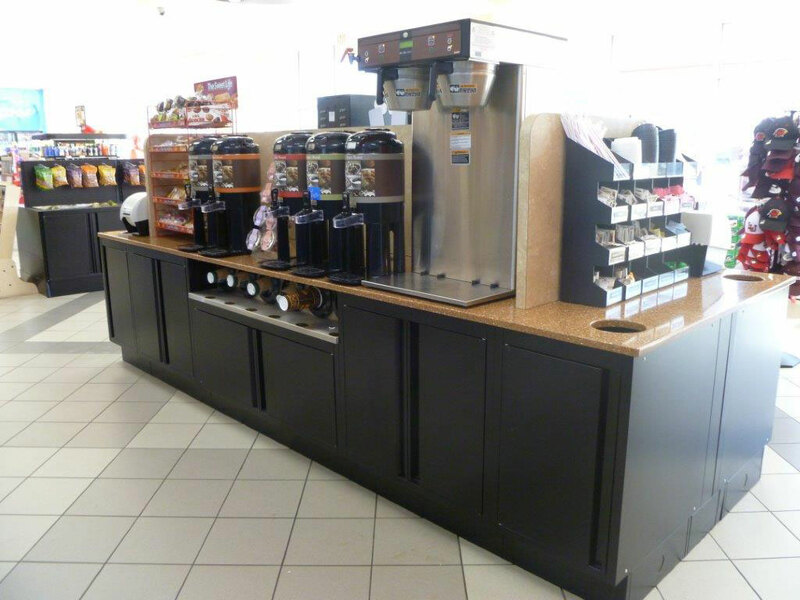 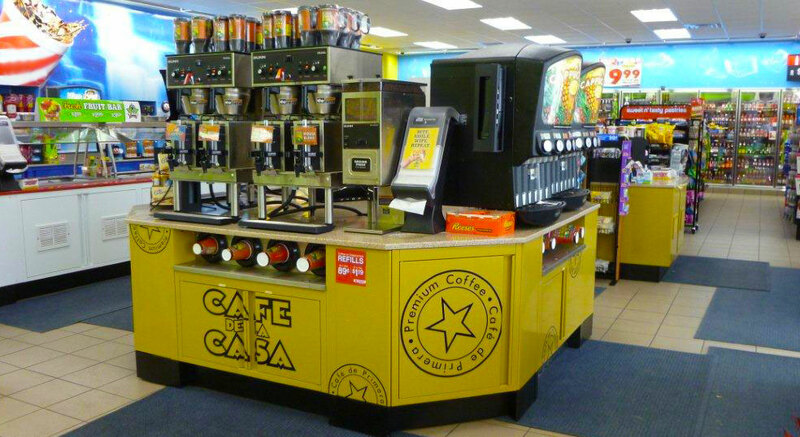 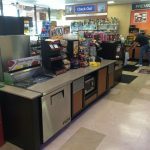 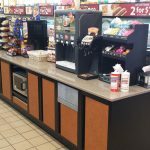 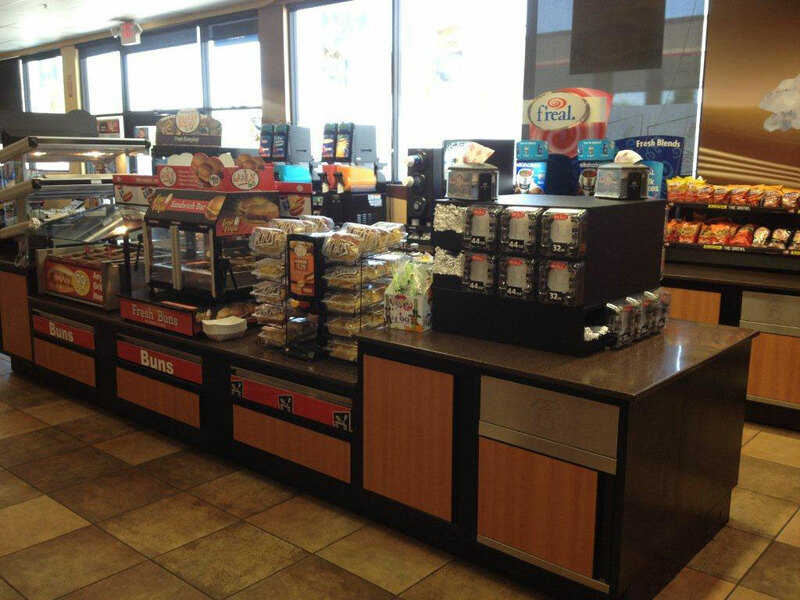 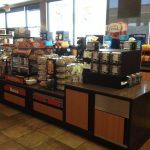 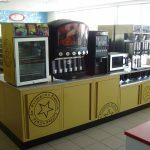 We offer a full line of all-metal Counters with options such as prep units, waste units, beverage units, condiments units, and microwave units. 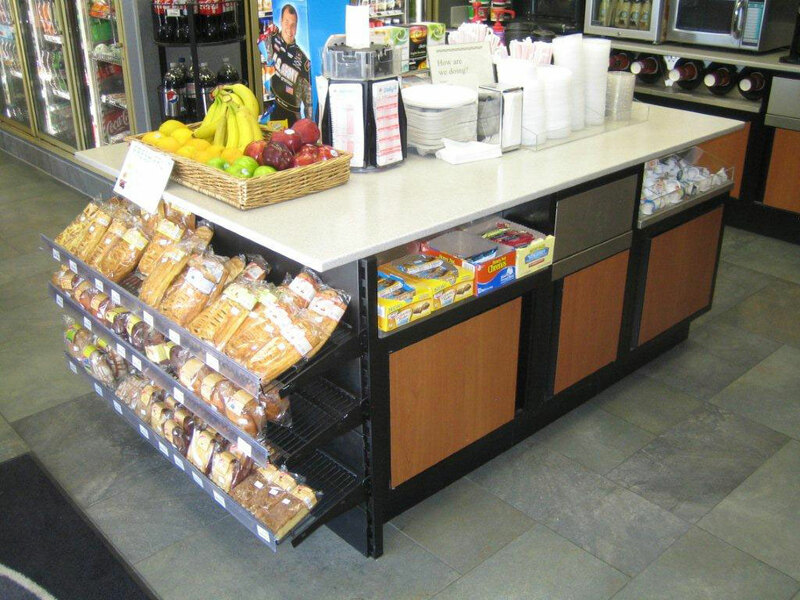 All units are stocked in white, beige, and black. 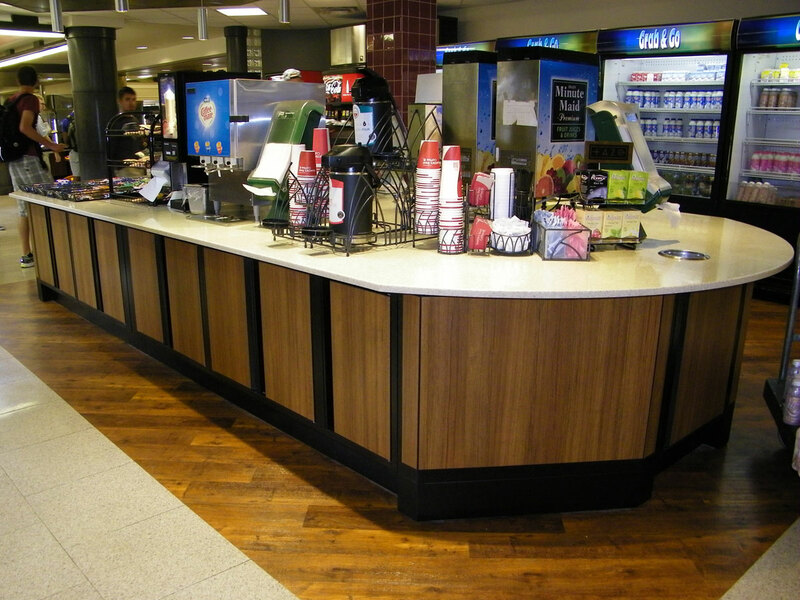 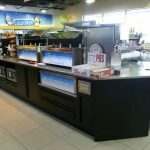 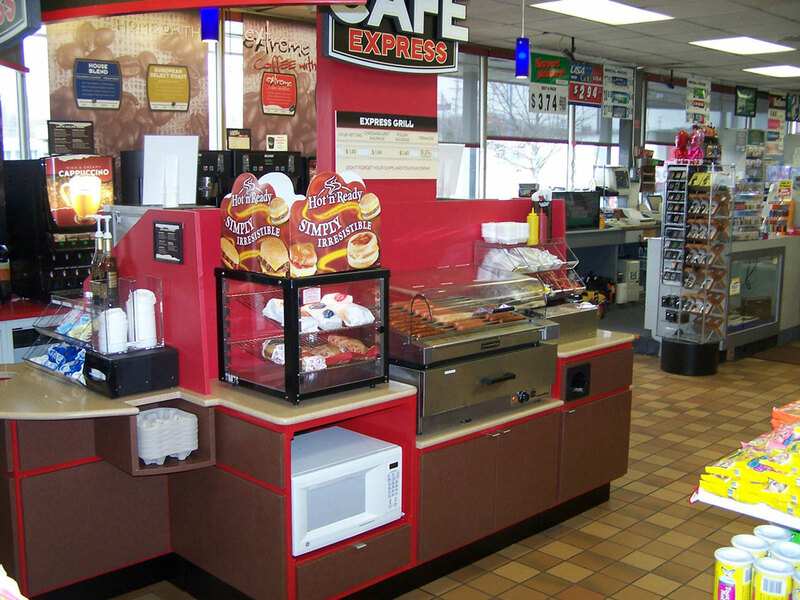 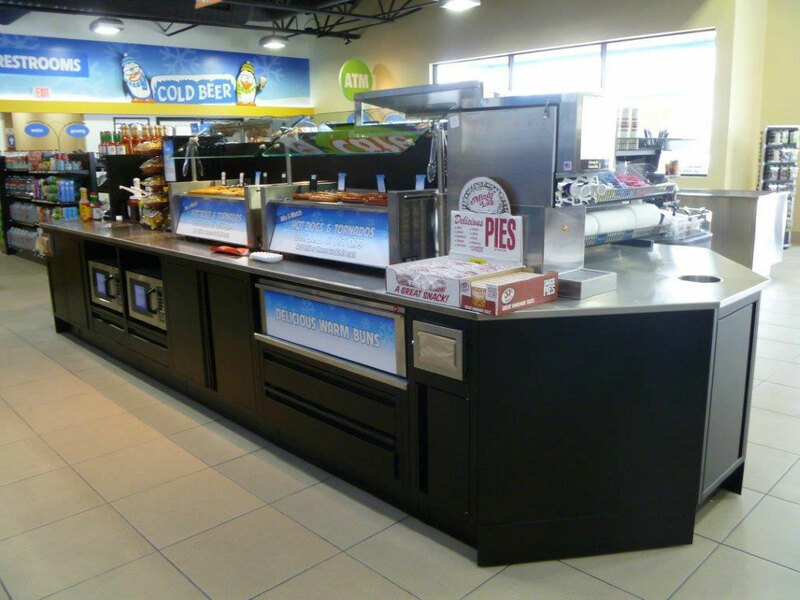 Click Here to view custom color options for Metal Food Service Counters. 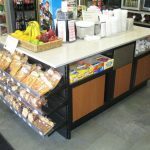 All types of countertop fabrications are available: solid surface, stainless steel, quartz stone and laminate. 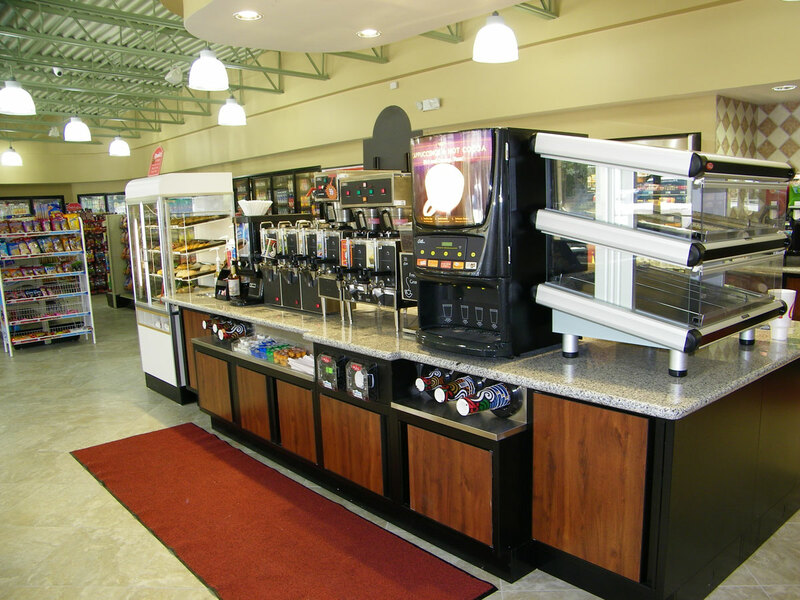 You also have the choice of stainless steel legs or metal bases. 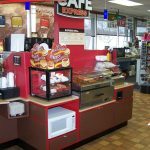 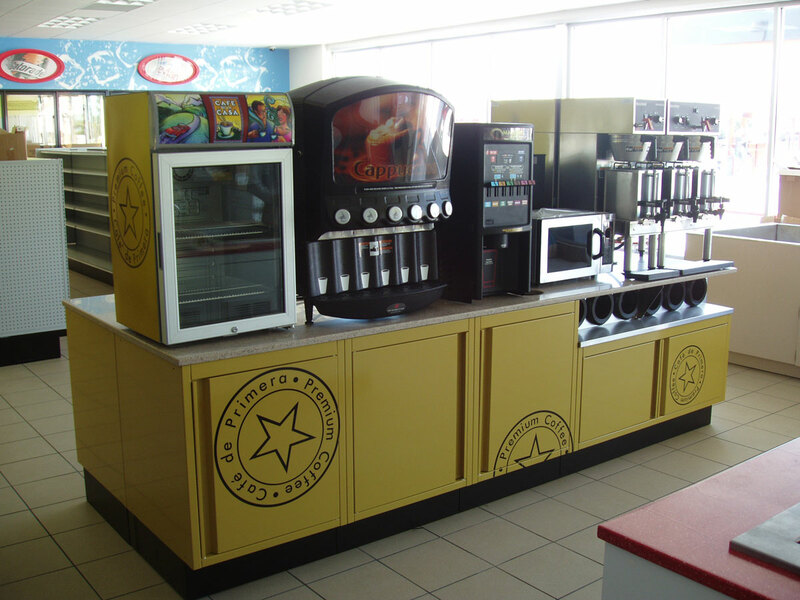 The all-metal components provide limitless design opportunity, while maintaining the durability and cleanliness of powder-coated metal, which makes the Metal Cabinet System ideal for QSR and retail food service applications. 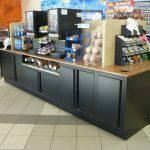 SHOPCO Metal Counters carry the same load capacities and qualities of the traditional systems, but surpass these systems with the unique advantage of having their standard components in stock, ready to ship with no fabrication lead-time. 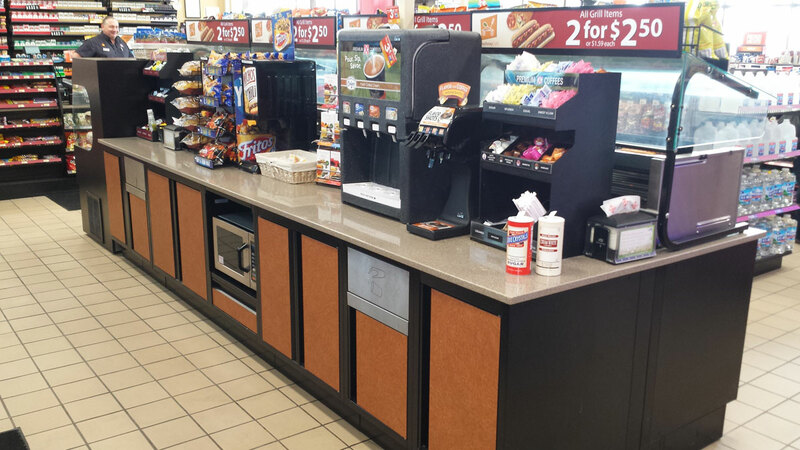 The system is so flexible, merely swapping a few pieces can change the lengths, depths and Counters style in minutes.